There’s an interesting separation taking place in the Christian community today over homosexuality and gay marriage. One leader opposes – another affirms – yet most just sit silent. The agenda to impose participation and celebration of the gay lifestyle – and all the expressive events surrounding it – is more aggressive than ever before. It has steamrolled through the spheres of culture (education, media, business, government, etc.) and now it has the church – “the last man standing” – in its cross-hairs. Why? Because the church is the “pillar and support of the truth” (1 Timothy 3:15). The good news is, these attacks are revealing which Christian leaders truly walk in the presence of God and which simply enjoy a platform for Him. But regardless, no matter how much care and concern true believers have for homosexuals as precious image bearers of God, the agenda to eliminate Christian witness on sexual morality will take no prisoners. Now, more than ever before in our lifetimes, those holding to a moral, biblical orthodoxy must prepare for a bold stand. 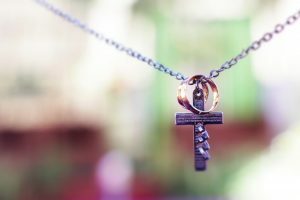 Will the radical agenda to transform America – and the entire Western world – topple two millennia of Christian teaching on marriage and sexuality? Not if the “Zadok” priesthood has anything to do with it. So who the heck is Zadok, and what does he have to do with sexuality and gay marriage? It sounds random, but it’s truly profound. Hear us out on this. In the time of Israel’s captivity in Babylon (605-535 B.C. ), God gave Ezekiel the prophet a message for His people, explaining the many reasons their nation was destroyed and the people were taken captive. The main reason above all the rest was that they had weak priests who refused to stand against the evil of their time and lead the people to truth. Listen to what God said to Ezekiel: “Her priests have done violence to My law and have profaned My holy things; they have made no distinction between the holy and the profane, and they have not taught the difference between the unclean and the clean” (Ezekiel 22:26a). Now enter Zadok and his descendants. Zadok was a godly priest who was faithful during the time of rebellion under King David, while the other priests simply went along with the cultural current of the day (1 Kings 1-2). As a result, Zadok and his sons were blessed by God for toeing the line. Ezekiel prophesied of these “sons of Zadok” – a remnant of priests within the priesthood who spoke truth to the people. These guys were the ones in the middle of all the other priests that stood up and spoke the word of God clearly, leading the people toward the truth instead of away from it. No matter how strong the influence of culture was upon them, the sons of Zadok remained, and would remain, steadfast, teaching the way of God in truth. “He said to me, ‘This is the chamber which faces toward the south, intended for the priests who keep charge of the temple; but the chamber which faces toward the north is for the priests who keep charge of the altar. These are the sons of Zadok, who from the sons of Levi come near to the Lord to minister to Him” (Ezekiel 40:45-46). The R.O.Y. priests got the platform, but the Zadok priests got the presence! Though the “rest of ya’ll” priests still served in the temple, they had to keep their distance. But the Zadok priests were able to “drawn near” to God – because they remained faithful to Him and His ways during times of rebellion. Today, New Testament believers are called to be a remnant of priests. “You are a chosen people, a royal priesthood, a holy nation, God’s special possession, that you may declare the praises of him who called you out of darkness into his wonderful light” (1 Peter 2:9). The question is, which priest are we, and which one do we want to be? Will we be a Zadok priesthood – those who shine the clear light of God’s truth into a darkened world that desperately needs Him? O will be just be like the “rest of ya’ll” priests – those who refuse to teach others the difference between the “holy and the profane”? The radical LGBT agenda is forcing the choice. So as the separation in the Christian community continues, it’s going to be much easier to see difference between “priests” who’ve chosen a platform and those who’ve chosen God’s presence. Media wishing to interview Jason & David Benham, please contact media@wnd.com.